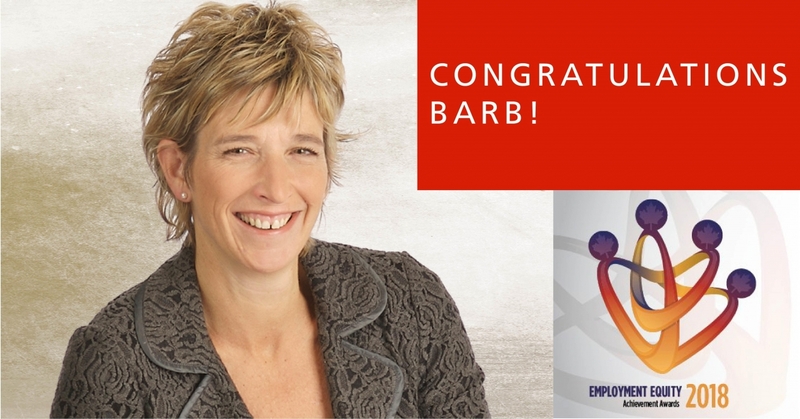 Congratulations Barbara Mason, Group Head & Chief Human Resources Officer at Scotiabank, for receiving the first Canadian Employment Equity Champion Award! This award recognizes an executive leader for their proven track record of championing employment equity within their organization, as well as their overall contribution to diversity in the workplace. Scotiabank is Canada's international bank and a leading financial services provider in the Americas. We are dedicated to helping our 25 million customers become better off through a broad range of advice, products and services, including personal and commercial banking, wealth management and private banking, corporate and investment banking, and capital markets. With a team of more than 96,000 employees and assets of $947 billion (as at July 31, 2018), Scotiabank trades on the Toronto Stock Exchange (TSX: BNS) and New York Stock Exchange (NYSE: BNS). For more information, please visit www.scotiabank.com and follow us on Twitter @ScotiabankViews.